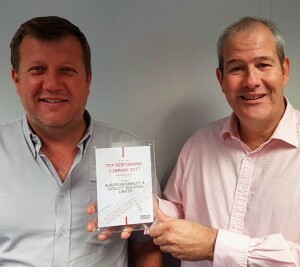 European Exhaust and Catalyst has been recognised as a top performing mid-market company in the Central South region. We’ve been named as one of the region’s top 20 companies for achieving sustained international turnover growth. Accountancy and business advisory firm BDO LLP’s most recent analysis of the mid-market (companies with turnover between £10m-£300m) has shown that European Exhaust & Catalyst is one of the central South’s success stories, reporting strong overseas growth in the last three years.